Over the years I learned a great deal from smart people around me. Often I didn’t want to hear it but later had to admit that they were right. Here are four examples of what I learned from such people about what to avoid at work and keep the drama down. My father used to tell me not to make close friends at work (especially as a supervisor). I didn’t want to listen. I thought he was just being boring and antisocial. I was friends with most of my co-workers, many of us would regularly socialize after work. Once some of us even went on vacation together. After all these years looking back, I have to say my father was right. While there is certainly no problem with the occasional after work outing, and while positive relationships at work can enrich your life, close friendships can also complicate your life. It can make it harder to stay neutral and objective, for example in case of conflict. Especially, when you are friends with a supervisor or direct report. But also as colleagues it could get messy, for example, if you are both competing for the same promotion, or one isn’t pulling his or her weight in a project. 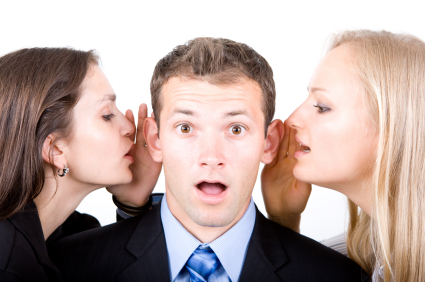 Gossip wastes time and affects your productivity. Many people who get involved in gossip will complain that they are too busy and have to work long hours. Of course! Because they have to catch up on all the time they wasted during the day. Gossip messes with your time management and of course it hurts relationships and your reputation. I remember one co-worker who I always admired for being immune to anything not work related. She was the sweetest person, polite, approachable, and extremely professional – people would never come to her to gossip. With her attitude and demeanour she achieved to send the message that she was not up for that. It’s easy to get a reputation of being the understanding and compassionate one who everyone looks for to vent or ‘seek advice’. The reality is that people rarely seek advice, they mostly want to vent, or hear themselves talk and that wastes your time. Smart people use tricks such as closing their office door for certain times of the day or arrange their desks so they are not facing the door. Eye contact is often all that’s needed to encourage interrupters to enter. All these examples are really about setting boundaries at work and gaining a reputation for being professional. This takes work but eventually people like gossipers and other interrupters will not bother you. While this may not sound very fun it will help keep your life simple and as drama-free as possible so you can focus on being effective at your job. And not go home at ungodly hours! Previous PostMy First Year As A Fundraiser. It’s Only Just Begun…Next PostForget The Title!